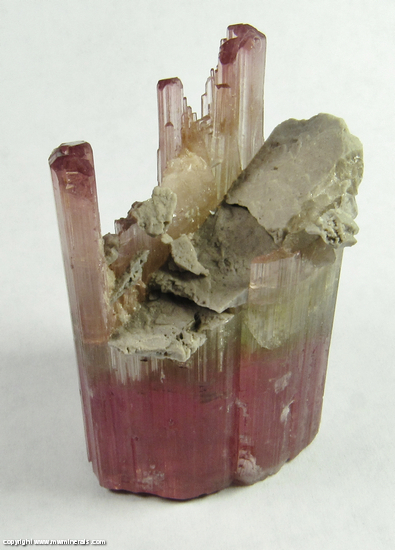 A very unique Tourmaline specimen from the famous Himalaya mine. 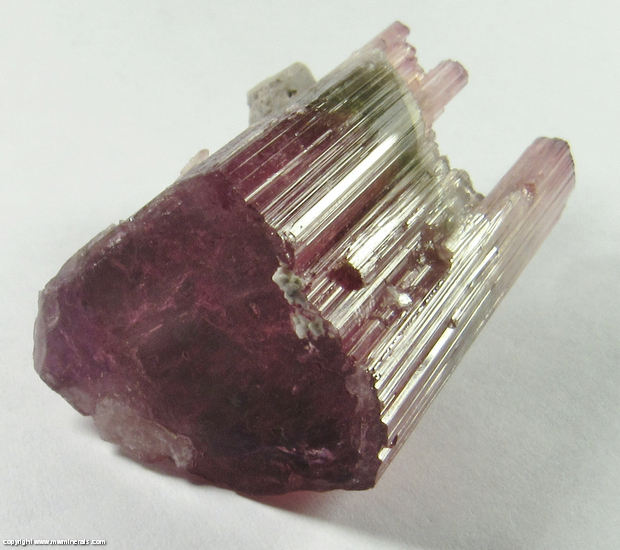 One end of the specimen is composed of one large crystal with a smooth, flat termination. 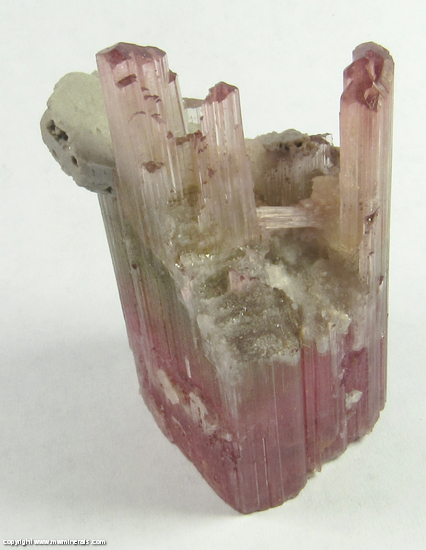 The other end of the specimen is composed of several sub crystals with beveled terminations. 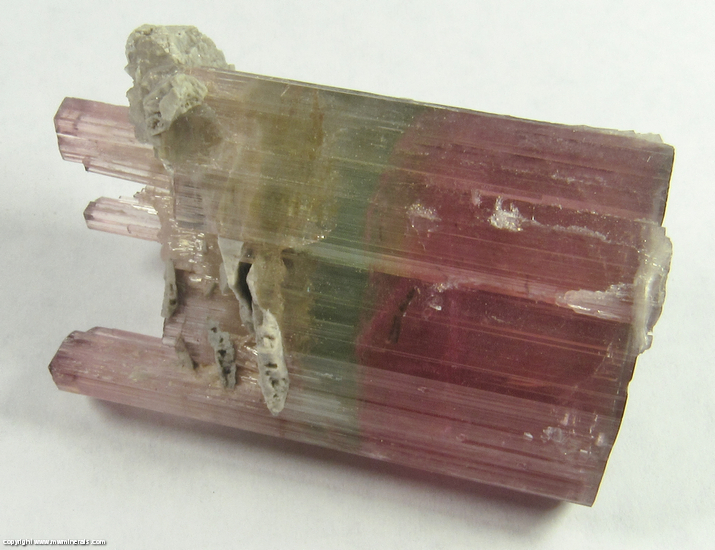 In the middle of the specimen, there is a discontinuity which runs through the specimen at roughly a 30 degree angle from the C axis. 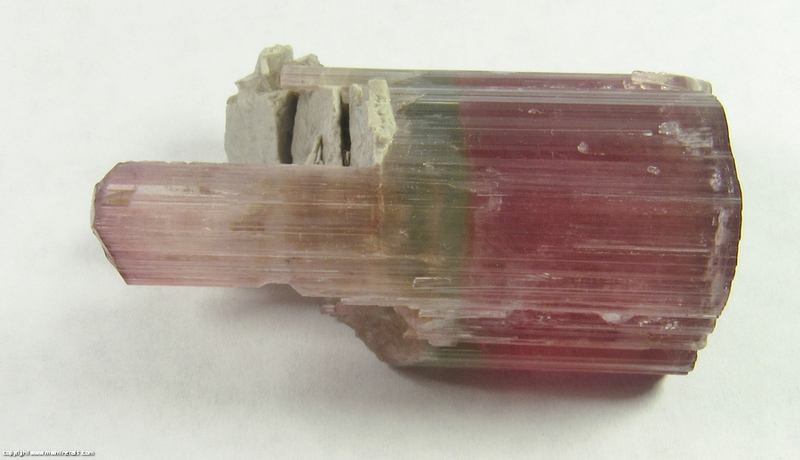 It is at this discontinuity that the specimen changes from a single crystal to multiple sub crystals - but it really is all one crystal. 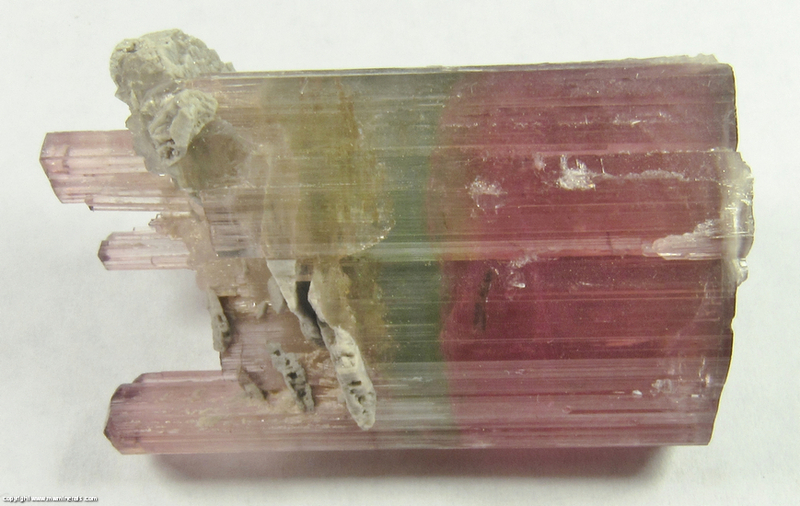 There are flattened, light gray colored Albite crystals along this diagonal where the sub crystals do not pass through. 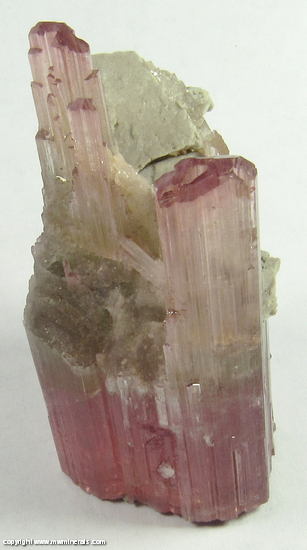 About half of the crystal, at the larger end, is a rich bubble gum pink color (slightly more vivid than in the pictures). 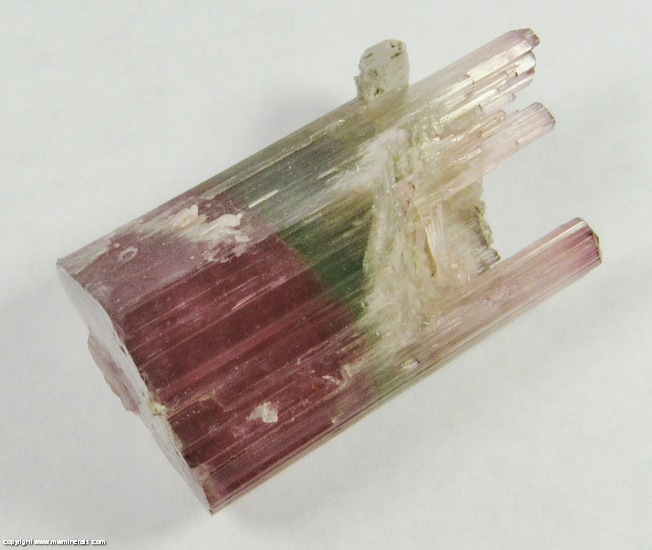 Next is a thin layer of a light yellow color, then a thicker layer of light green which gives way to a light pink color for the sub crystals. 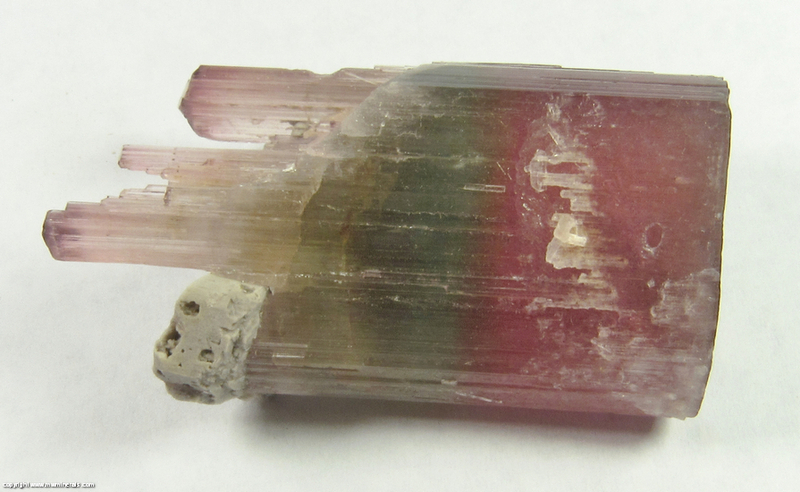 The color intensifies at the terminations of the sub crystals. 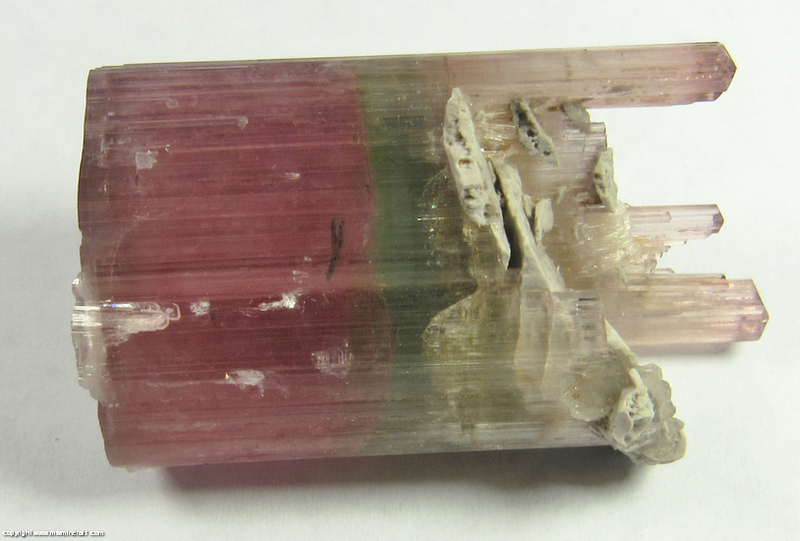 The clarity of the Tourmaline is quite good although not quite transparent. 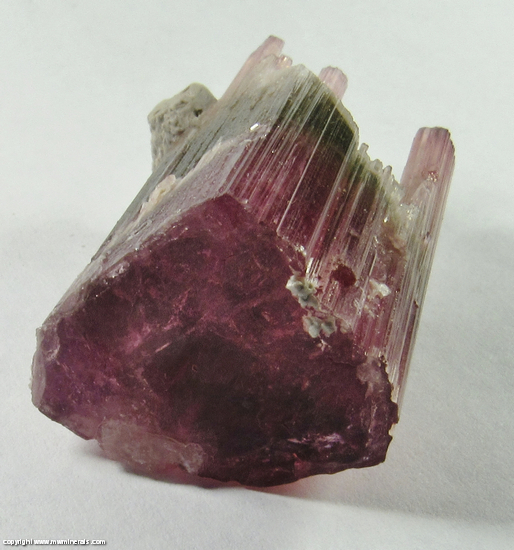 The sides are striated and have a high luster. 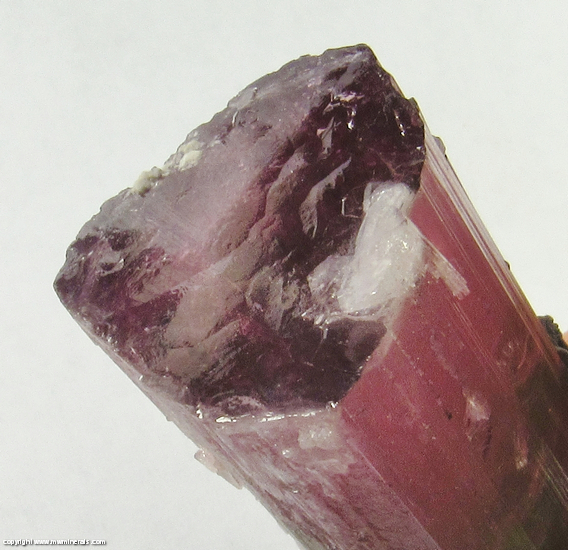 The large, flat termination also has a high luster as well as the smaller, sub crystals.